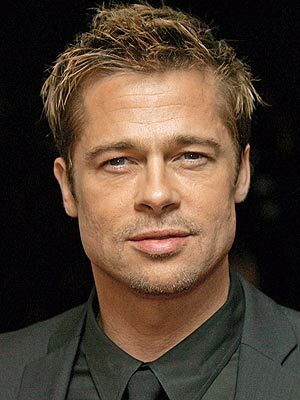 William Bradley "Brad" Pitt was born in Shawnee, Oklahoma, United States, December 18, 1963, age 47 years, Pitt was the son of Jane Etta Hillhouse, a high school counselor, and William Alvin Pitt, a trucking company owner. He was born in Shawnee, Oklahoma. Together with his brother, Doug (born 1966) and Jullie Neal (born 1969). After the birth of Pitt, his family moved to Springfield, Missouri where Pitt grew up there. Brad Pitt is an American actor and film producer as well as social activists. Pitt has received two nominations for Academy Award nominations and four Golden Globe Awards. He is regarded as one of the most attractive man in the world, a label given to him by the media. Pitt-known since the mid-1990s after starring in several Hollywood films, including Interview with the Vampire (1994) and the thriller Se7en (1995). Brad Pitt been nominated for Academy Awards and won the Golden Globe Awards, two for a role in the movie Twelve Monkeys (1996). Pitt was then cast in the international hit film Ocean's Eleven (2001) and two sequels Ocean's Twelve (2004) and Ocean's Thirteen (2007). Followed by roles in the film's best, Troy (2004) and Mr. And Mrs. Smith (2005). Pitt was again nominated for awards in the 2008 Academy Awards for her role in The Curious Case of successful movies of Benjamin Button. His success took him into the ranks of top celebrities dunia.Pitt also active in social activities and was appointed as a UN ambassador along with his girlfriend Angelina Jolie, and often raise money for charity in large numbers in addition to visiting the refugee camps and war victims. Pitt once dated a few co-stars such as Robin Givens (Head of the Class), Jill Schoelen (Cutting Class) Juliette Lewis (Too Young to Die? And California). Love life and her engagement most often gets publicity when along with actress Gwyneth Paltrow that he is dating from the years 1994 to 1997. Pitt met actress television series Friends, Jennifer Aniston in 1998 and married in 2000 in Malibu. The harmony of their marriage is considered as one of the most successful in Hollywood, but in January 2005, Pitt and Aniston announced that they have decided to separate after seven years together. Two months later, Aniston file a divorce on the grounds that no distinction can be united again. Shortly after the divorce, Pitt began a relationship with actress Angelina Jolie on board, both in film involved love Mr location. And Mrs. Smith. In early 2006, Jolie announced through the issue of American magazine 'People' that she was pregnant with Pitt. On May 27, 2006 Jolie gave birth to their first daughter, Shiloh Nouvel Jolie-Pitt in Namibia, Africa. Birth of the most anticipated Hollywood became the center of the spotlight. Then the couple decided to sell Joile-Pitt first pictures of their children, Shiloh, as well as introducing the baby by the prestigious magazine 'People' for a fee of $ 4.1 million (40 billion yen). Proceeds from sales of the magazine reaches more than $ 10 million Pitt and Jolie donated to charity. Knox Léon and Vivienne Marcheline Jolie-Pitt, in France. Copyright first photographs of their twins sold to People magazine and Hello! worth $ 14 million (140 billion yen) - became the most expensive celebrity image of all time. The couple donated the most money through the 'Jolie-Pitt Foundation'. Pitt and Jolie also adopted three children: Maddox Chivan Jolie-Pitt (Cambodian), Pax Thien Jolie-Pitt (from Vietnam) and Zahara Marley Jolie-Pitt (from Ethiopia).